According to renowned food critic and culinary adventurer Andrew Zimmern, Filipino food is the next big thing in global cuisine. And it’s true; during our trips and adventures, we have talked to foreigner travelers who have wondered why Filipino cuisine is so underrated when in fact, every meal is actually a unique and amazing dining experience. Indeed, we have indigenous, traditional, creative, and exotic dishes that could put us in the world’s culinary map. 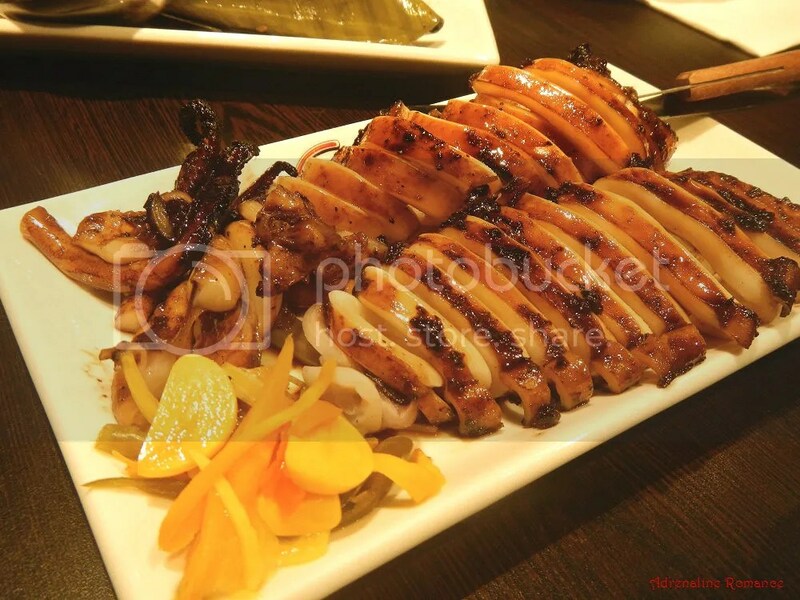 And you can find some of these great dishes at Gerry’s Grill, a restaurant that has served sumptuous Filipino food since its opening on February 1997. 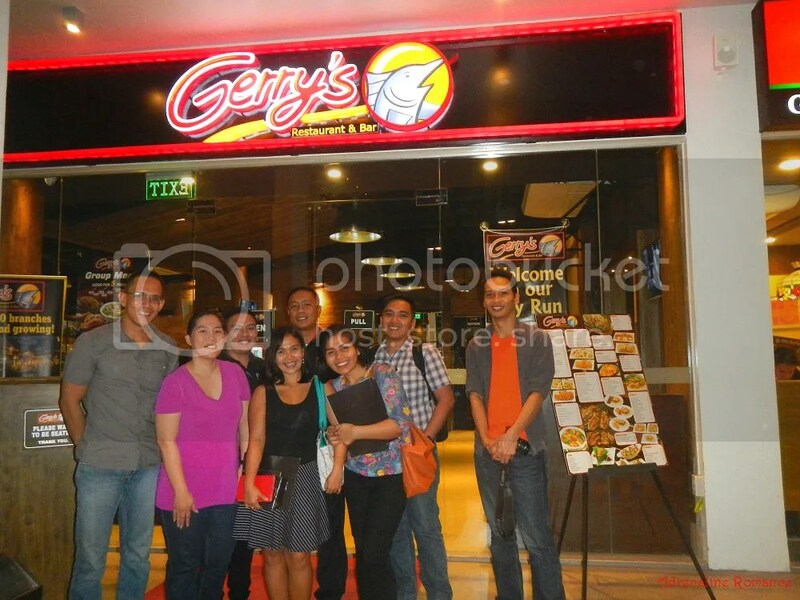 Since then, Gerry’s has been making waves in Philippine cuisine, making it a must-visit food destination. They have over 64 branches nationwide; and in January 17, 2015, they opened their 65th branch in Lightsite Parc, AS Fortuna in Mandaue City, Cebu. We were honored to be invited there for their soft opening. The new Gerry’s Grill has a nice, clean, and strategic façade. Display boards show their menus, advertisements, and announcements. Fronting the establishment is the arcade’s shared parking lot so customers won’t have a hard time looking for a place to park their vehicles. The dining area features a very cozy, traditional Filipino interior that provides a warm, friendly and welcoming atmosphere. Also, rather than the usual table-and-chair setup, Gerry’s used classic, cushioned booths to seat diners. 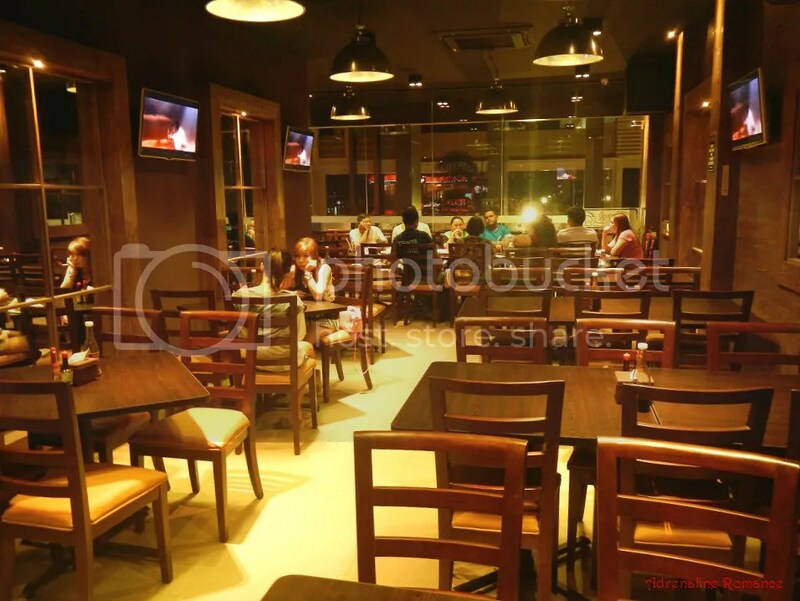 For us, this is a really clever idea; the booths offer diners better privacy and comfort. Mirrors make the spacious space even bigger. 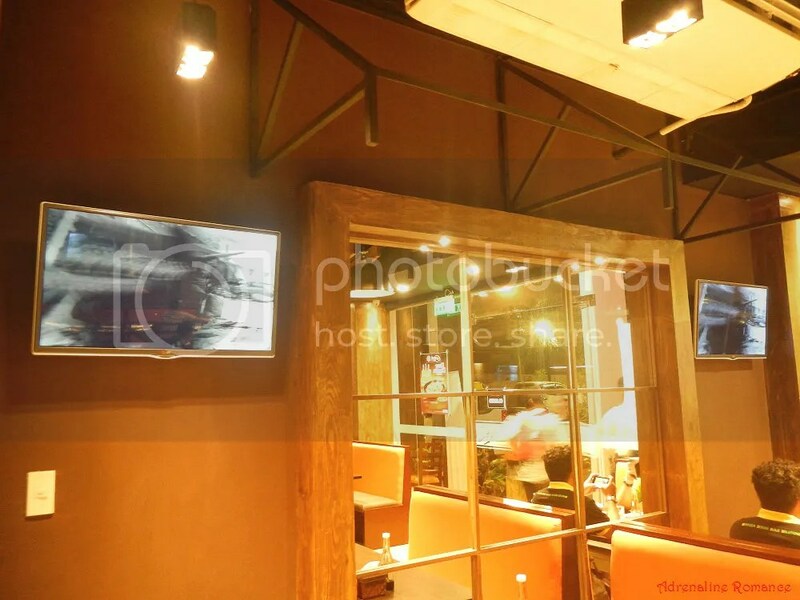 In addition, strategically mounted flat-screen TVs allow diners to watch the latest news, movies, sports events, music videos, and more while waiting for their orders. Gerry Apolinario, CEO and operator of the chain, originally envisioned Gerry’s Grill to be a place for people to have a drink and unwind after a hard day’s work. 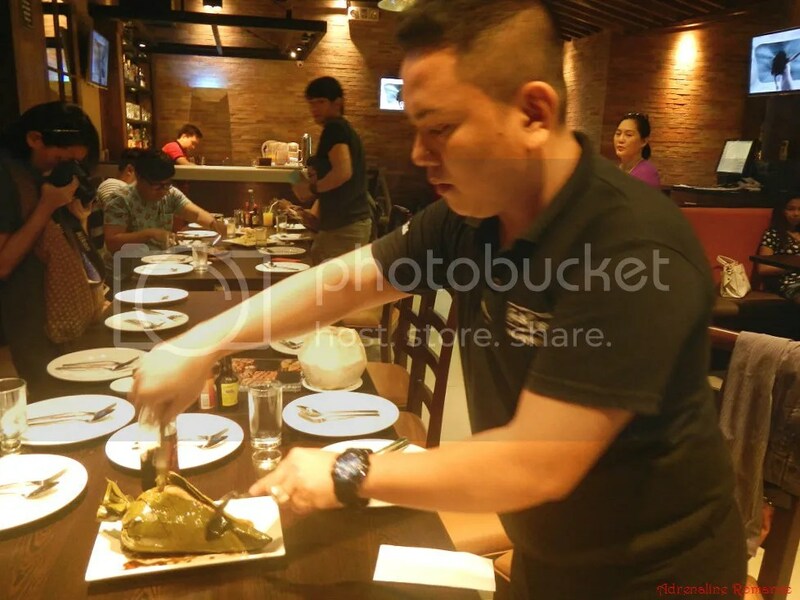 However, the inclusion of their grilled pulutan (finger food) inadvertently transformed the place into a restaurant as people started to bring families and friends to enjoy their food selection. Gerry’s Grill then became a family restaurant. But the original concept was not forgotten. 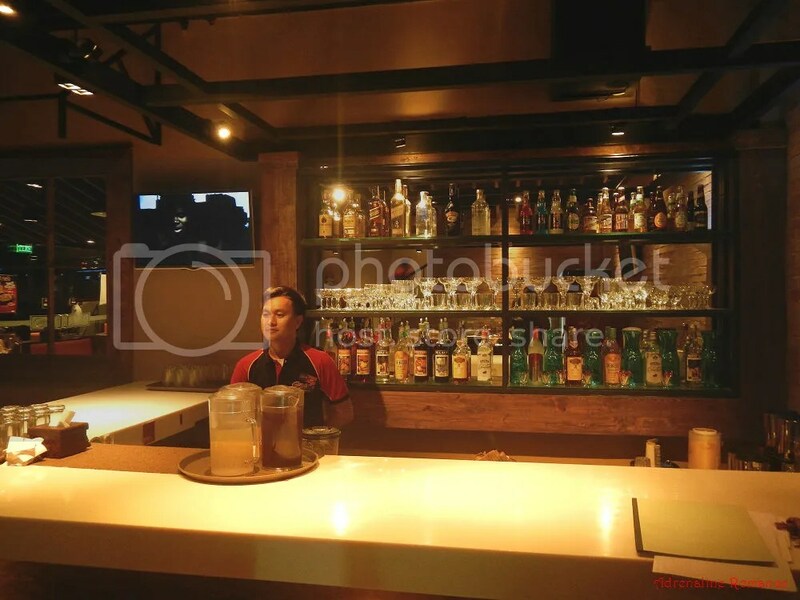 Thus, Gerry’s features a bar that serves both alcoholic and non-alcoholic beverages. 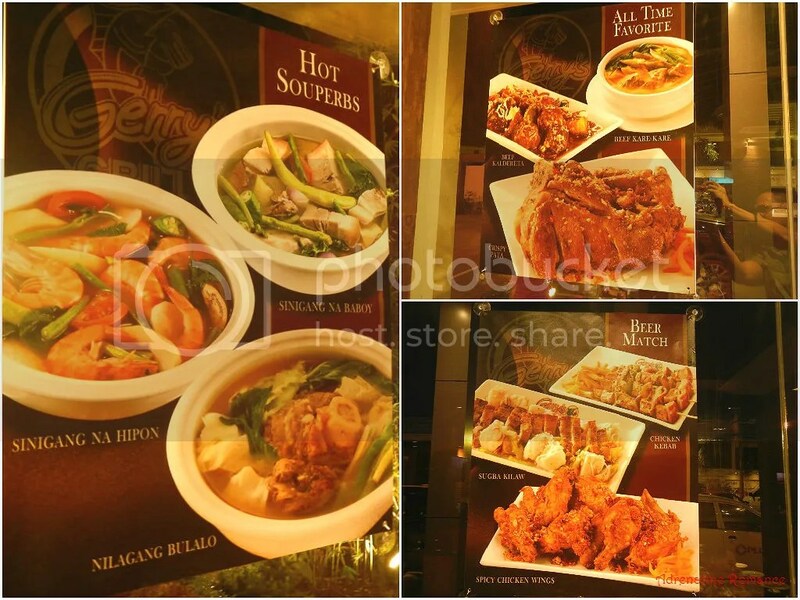 Professionally printed posters that promote the restaurant’s specialties are hung strategically on the establishment’s windows. First-time patrons won’t have to waste time navigating through the menu; they simply need to order the items on the posters to have a sample of the restaurant’s classics. 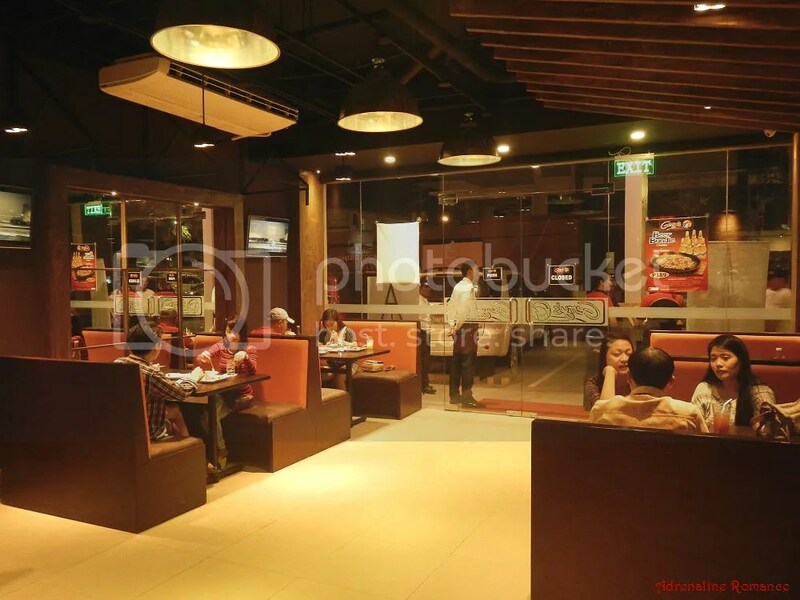 The second level of Gerry’s Grill serves as an auxiliary dining space in case the main dining area is full. This level can also be reconfigured into a venue for conferences, workshops, parties, and more. 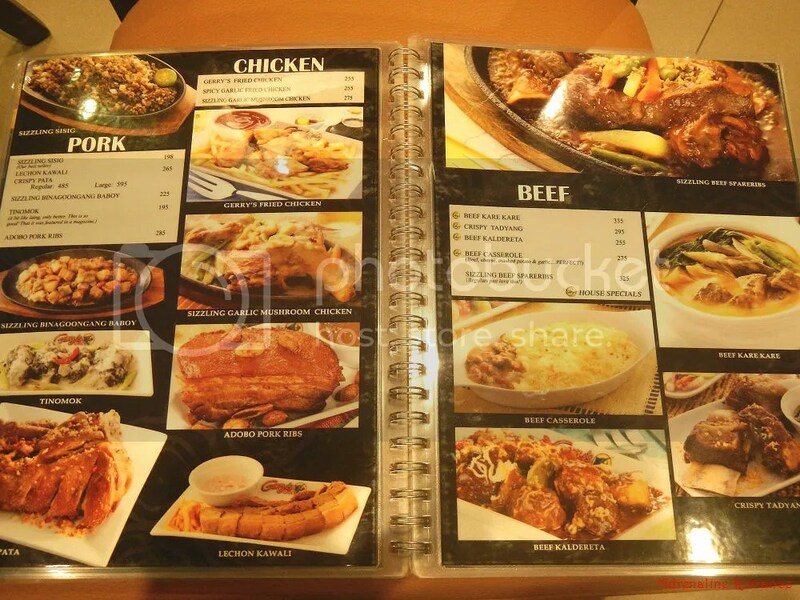 Gerry’s has a robust menu filled with fresh dishes, from classic Filipino favorites to exotic cuisines. 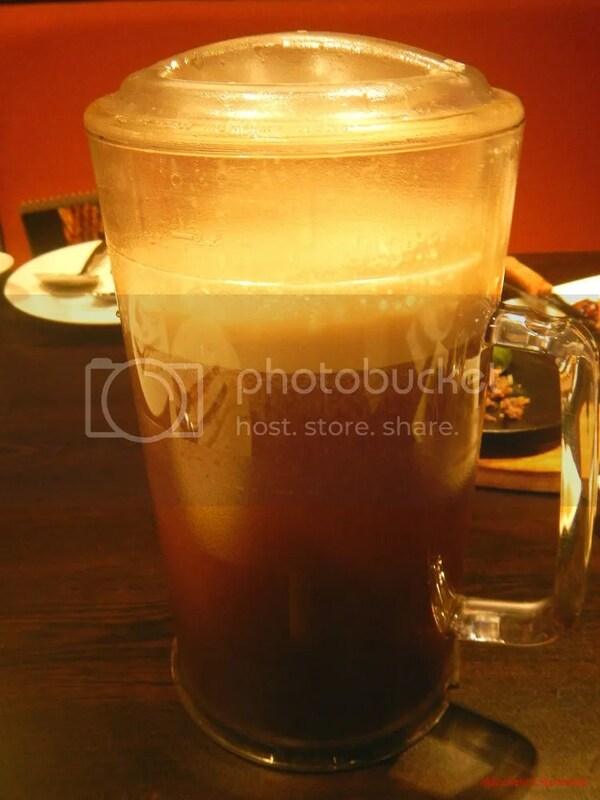 And knowing that pulutan is a must in every party, Gerry’s also included tastefully prepared beermates in their menu. After most of the invited guests arrived, Gerry’s started to serve us their awesome specialties. One of these is Adobo Puso Rice. 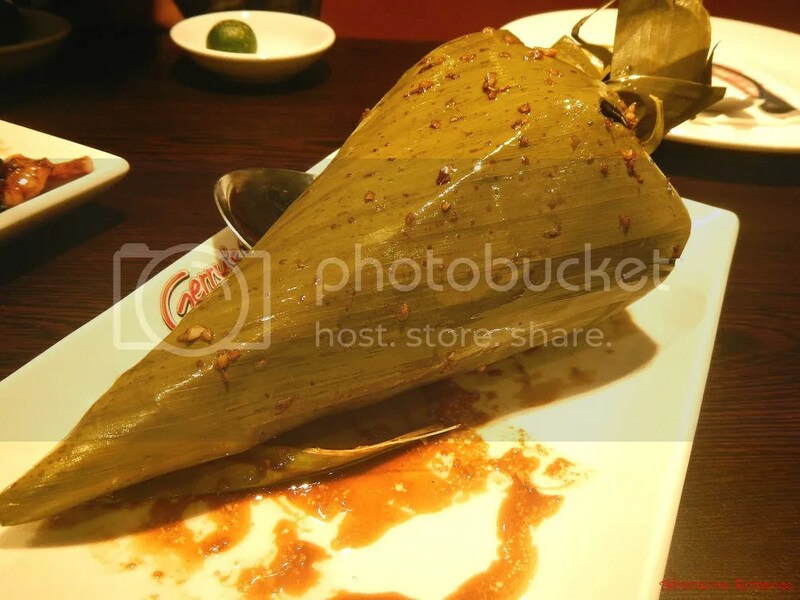 That is steamed rice rolled in a banana leaf which is formed into a puso, or inflorescence. That’s a pretty unique presentation, don’t you think? A friendly member of Gerry’s waitstaff sliced the puso open to access the delicious rice inside. And there’s the glorious rice, cooked in adobo sauce and sprinkled with pork tidbits. Needless to say, it was definitely yummy and filling. 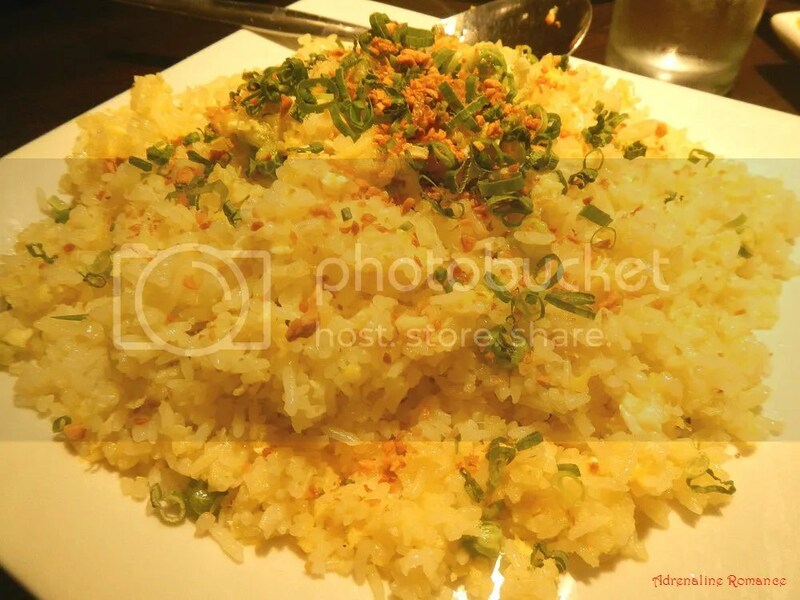 For those who want a lighter rice meal, Gerry’s offers this mildly flavored Crab Rice. This is one of our personal favorites. 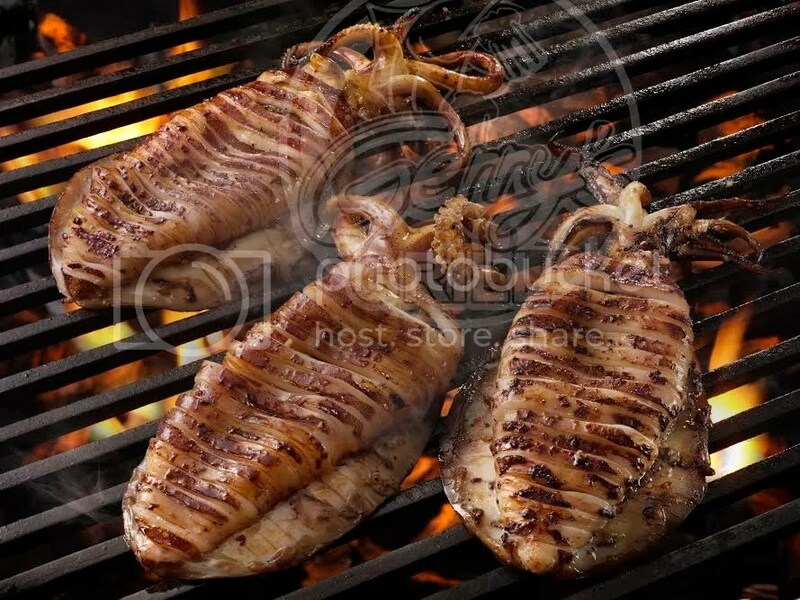 No grilled Filipino dinner is ever complete without this all-time favorite, Grilled Squid! But there’s something extra special about their version; they baste it with a secret, specially made adobo sauce that enhances the squid’s flavor. Here’s another must-try and unique specialty: Tinomok. That’s ground meat wrapped in gabi leaves then drizzled with warm ginataan (coconut milk). It’s amazingly delectable and pleasant on the palate. 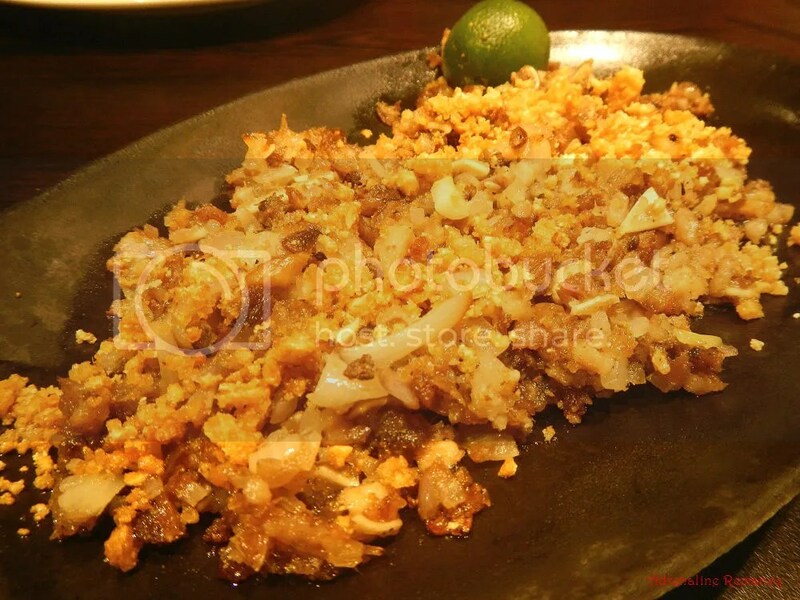 A plate of sizzling, scrumptious Sisig makes an excellent beermate. For those who aren’t familiar with Filipino cuisine, sisig is made of chopped meat from a pig’s face. The meat is then mixed with minced garlic, onions, pepper and other spices. 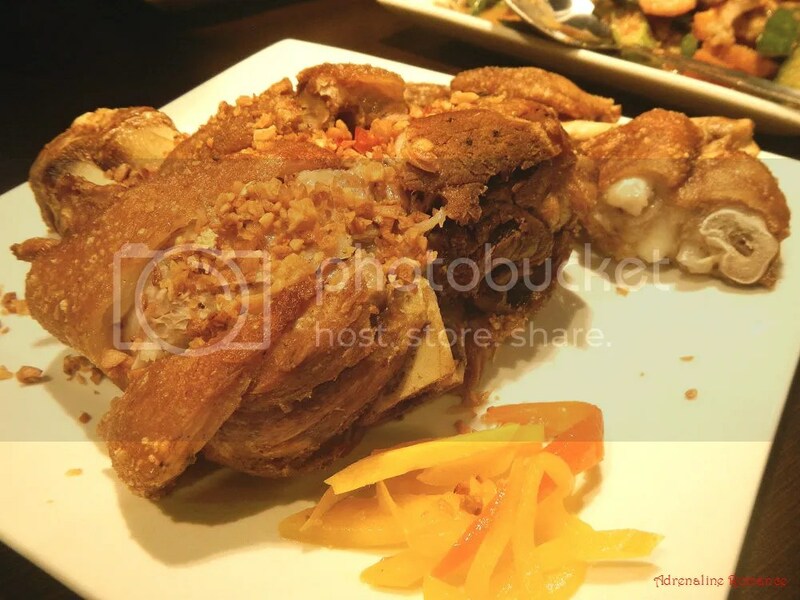 Feel your arteries constrict even at the wonderful sight of this Crispy Pata! Gerry’s does it best and uses a secret technique that produces extremely crispy skin on top of incredibly juicy meat. Want to wash down all those heavy and rich dishes down the gullet? Then have some of this filling Pinakbet, an indigenous Filipino dish made of various vegetables (e.g. bitter gourd, carrots, okra, etc.) that are sauteed in shrimp or fish sauce. The entire assembly is then garnished in shrimp and crushed peanuts. Gerry’s special homemade iced tea makes a perfect non-alcoholic beverage for health buffs. Unlike powdered iced teas, this one is made by steeping real tea bags in hot water. Juice and bits of mango, pineapple, and kalamansi (calamondin) are then added to the drink. The entire concoction is simmered and cooled to perfection. The result is a healthy, refreshing drink that keeps you wanting for more. Then it was time for dessert. 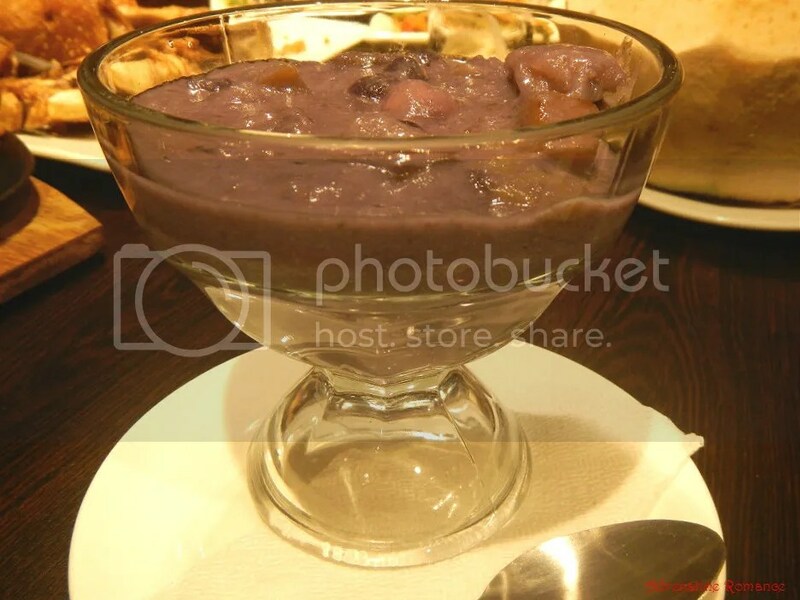 Gerry’s first brought out their creamy Ginataang Halo-halo with ube (purple yam) paste, banana slices, camote (sweet potato) squares, and more. 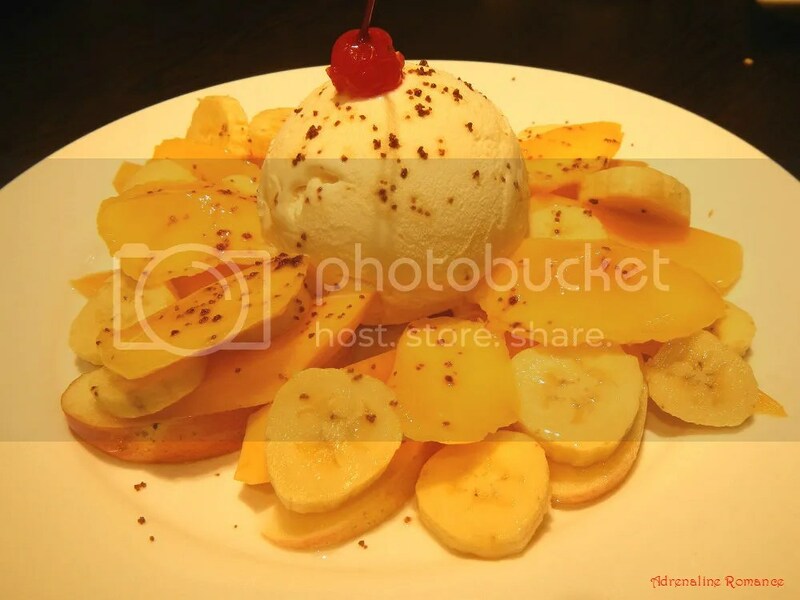 Gerry’s Fruit Platter is a delightful blend of sliced bananas, mangoes, and apples topped with a scoop of vanilla ice cream and cherry. The entire assembly is then garnished with chocolate sprinkles. This is perfect for those who want a light, healthy dessert. But for those who want something extra sinful, then the Toasted Ice Cream will surely make their mouths water. A piece of toasted pastry is rolled up into a cylinder and filled with vanilla ice cream. It is then surrounded by generous servings of whipped cream and drizzled with chocolate syrup! Invited Cebu bloggers thoroughly enjoyed their meal and had nothing but compliments about the place. 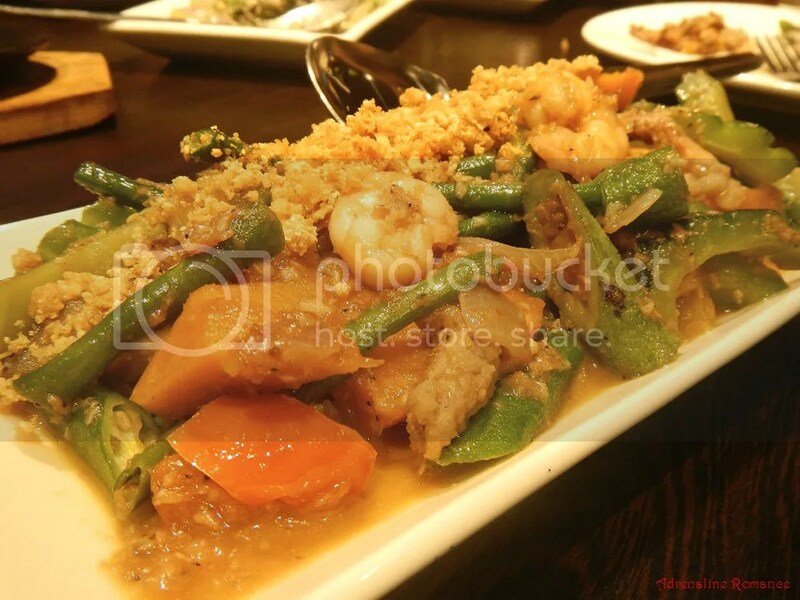 If you want the best of Filipino dishes, then Gerry’s Grill is the place to be. Make it a part of your Philippine travel itinerary and food adventure. Thank you very much, Assistant Marketing Manager Chikki Fontanilla, Branch Manager Andi Requintina, and the rest of the Gerry’s Grill staff for the incredible dinner. It was truly a fantastic, gastronomic experience. The restaurant is open from Monday to Sunday, 10 AM to 12 midnight. 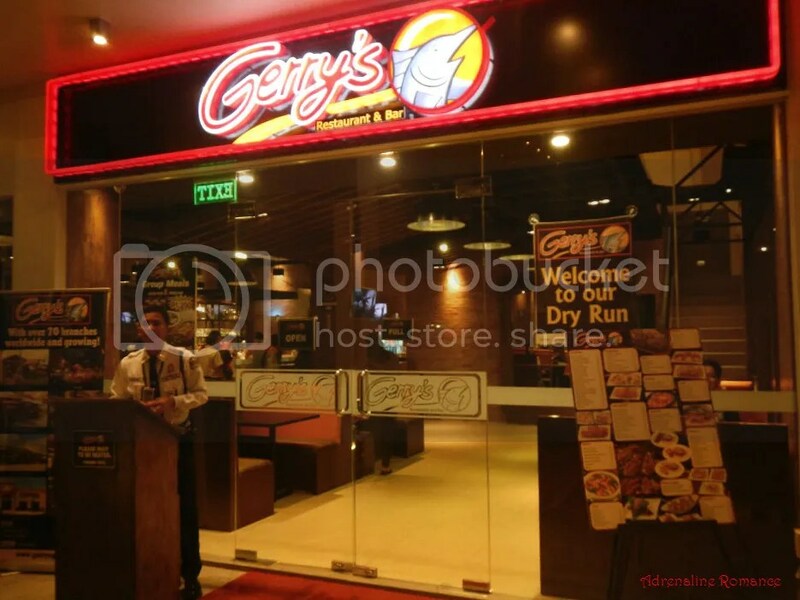 This Gerry’s Grill branch is also the first to offer food delivery services. Please contact them to have fresh, hot food delivered straight to your door. 2. For more information, you may also check the Gerry’s Grill website. 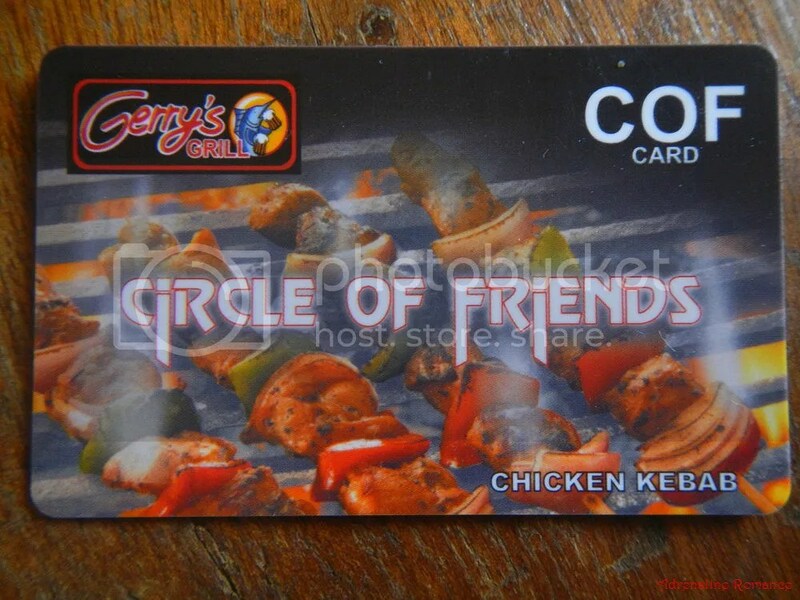 The restaurant offers diners the Gerry’s Circle of Friends Loyalty program. The card is only P100 and is available at all Gerry’s branches nationwide. Through this program, frequent diners can get freebies, discounts, and reward points. Visit their website for more information about Gerry’s COF program. I’m so hungry just looking at this!! Hehehe! Our stomachs were grumbling while writing this piece. Hehehe! Gian & Sheila, all of this beautiful food looks amazing. The crab rice had my taste buds watering upon his presentation. 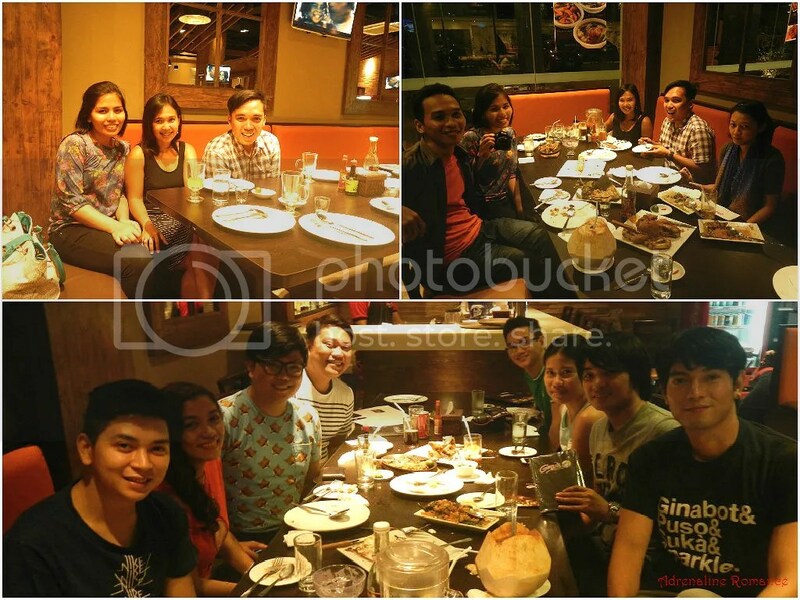 I’m sure you all enjoyed eating out at Gerry’s Grill. Be sure to drop by Gerry’s Grill in case you visit Cebu, Philippines. The food look super yummy! I love Bicol Express and pancit 🙂 Yes, I think the Philippines cuisine is pretty good! I hope Gerry’s Grill will open its branch in Europe! It really is! We love their “multi-layered” cooking style, which gives their traditional food very unique flavors. According to their website, they have branches in the US, Quatar, and Singapore. We wouldn’t be surprised if someday, there will be a Gerry’s in UK. Hehehe! Hehehe! We heard our stomachs grumble when we wrote this blog post. Yup, and they have new items on their menu. We’re actually going back there to celebrate Alexa’s graduation. I’ve never tried Adobo Puso Rice! 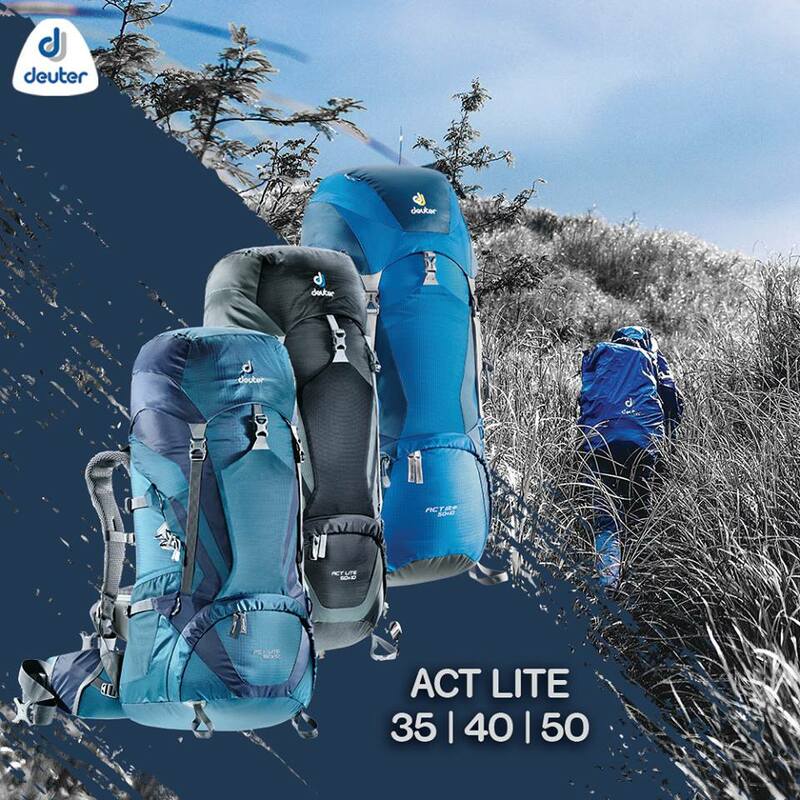 Must try it soon! I actually didn’t know about it until now LOL Thanks for sharing! The Adobo Puso rice is truly awesome! 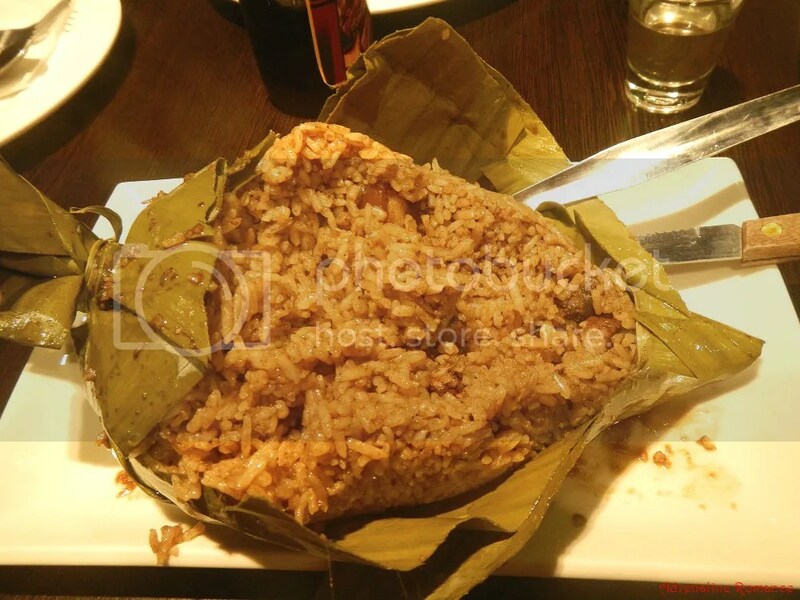 It has a hint of herb as the rice has absorbed some of the banana leaf’s flavor. Everything looks so delicious! 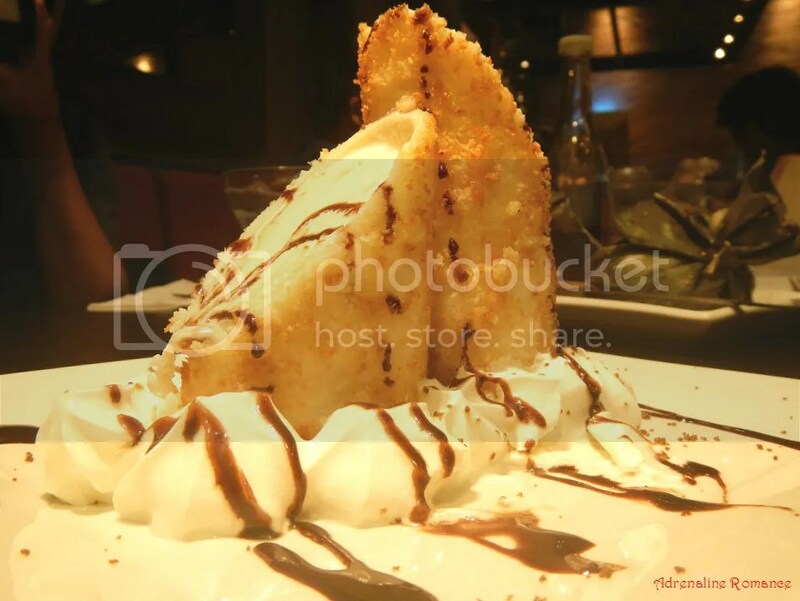 I particularly love grilled squid but my sweet tooth is craving the toasted ice cream more! Was it good? Oh, the toasted ice cream is wickedly good! Hmmm, we should try that. They didn’t serve us buttered scallops during the RSVP dinner. ohh food is <3. 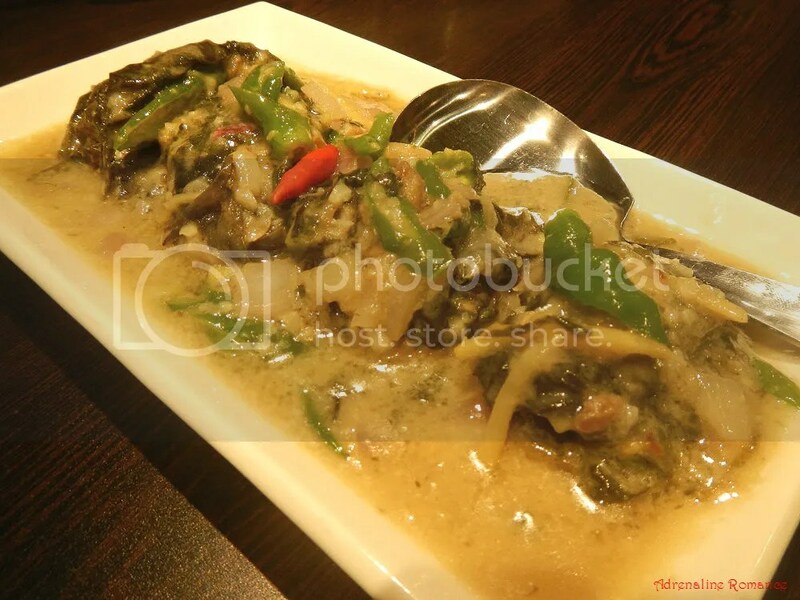 it's been awhile since i dined at Gerry's Grill…. Well, we’re sorry about your experience with Gerry’s Grill. But if you think about it, failures, errors, lack of judgement, and other downfalls happen even to the best businesses. So your experience may be an isolated one; as far as we know, our experience with Gerry’s has been excellent. This is a lesson that we learned in our travels and adventures; bad things may, can, and will happen because we are not living in a perfect world. But that is all part of the experience we call life. The adobo puso rice and the squid! It’s been a while since I last ate at Gerry’s. I think I need to visit again. Lami-a bayag kaon aning adrenaline romance. Hungry while reading this. It’s been months since the last time I was there at Gerry’s. Be visiting them again soon. Nice post! Hehehe! Our tummies grumbled while we were writing this. The food there is excellent. Nice nice! How was their Adobo Puso Rice? For us, it is delicious although it is a bit on the heavy side. Oh, yes! The basted adobo sauce really enhances the squid’s flavor. My favorite is their Adobo Puso Rice.